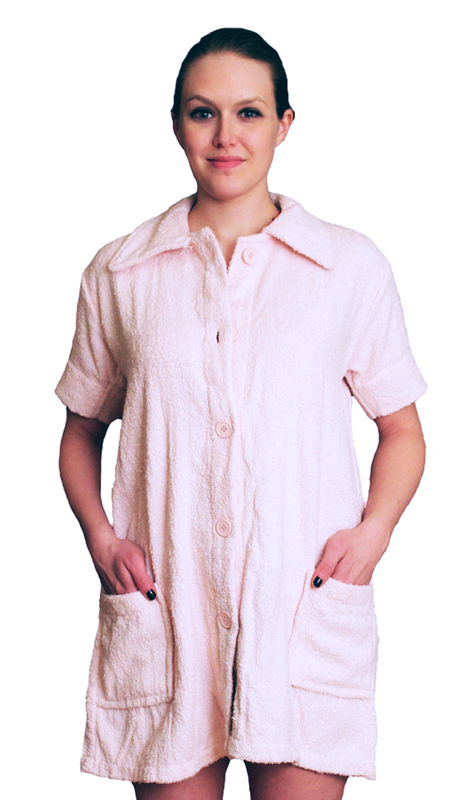 This 100% cotton loop terry, knee length, smimsuit coverup is designed for utility as well as casual wear. 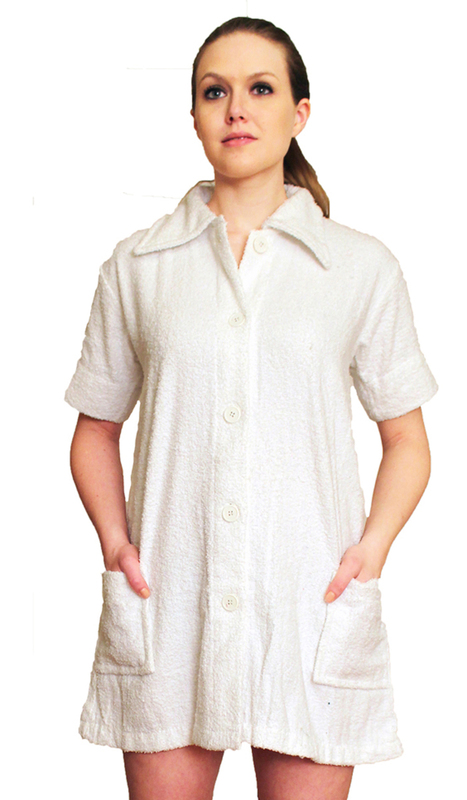 collar, button-front and patch pockets make it ideal for wearing even as a casual dress along beach resorts or for a stroll along the beach. Imported.